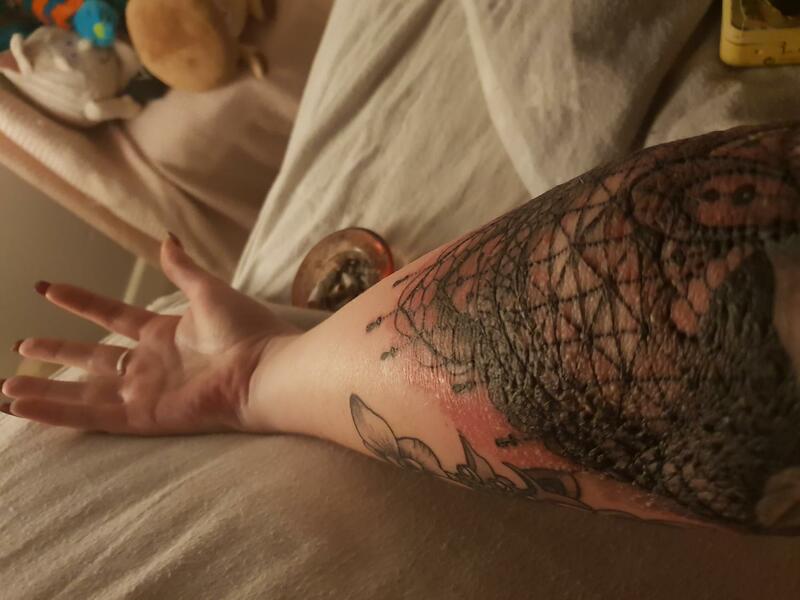 HELP is my new tattoo infected??? IMO that looks infected, and like @oboogie and @Gingerninja said, go see a doctor ,TODAY ! Your tattoo isn’t infected, it’s from using to much ointment lotion which can clog pores thus making ur irritated skin more irritated leading into heavy pimple like breakouts. Use less ointment an keep it clean it will heal up in a week or so. I know this because this also happen to me, where I had heavy breakouts. First I thought I was allergic to the current ointment I use or the soap. But once I used less ointment like my tattoo artist recommended everything went back to normal.